A man believed to be hiding in the GTA is wanted in connection with a forcible confinement investigation in Brampton and Peel Police are asking the public for help. 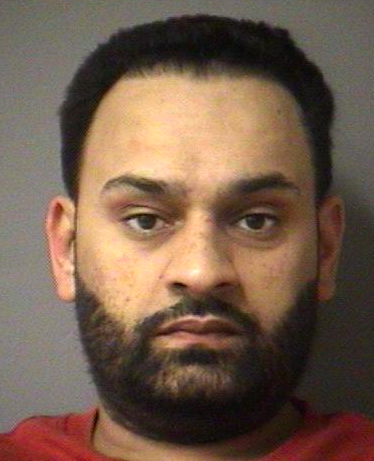 Investigators are looking for Amritpal Gill, 37, of no fixed address. An arrest warrant has been issued in relation to a “number of serious criminal domestic-related offences,” say police. The man is South Asian, standing 5-foot-9, weighing 173 pounds. He has a medium build, short, black hair and may have a black beard. Police believe the suspect may have a gun — if he’s spotted, they’re advising to call 911 and avoid approaching him. Anyone with information can phone the 21 Division criminal investigation bureau at (905) 453-2121 ext. 2133 or Crime Stoppers 1-800-222-8477.